Now known as Serbia and Montenegro. 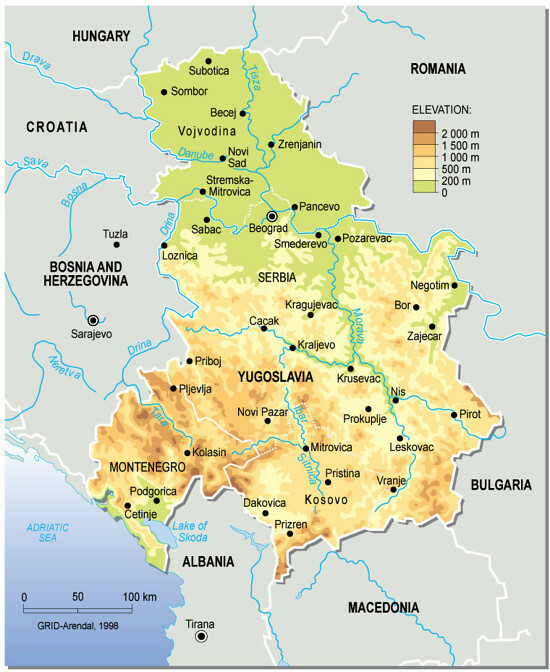 Serbia and Montenegro is located in Southeastern Europe, bordering the Adriatic Sea, between Albania and Bosnia and Herzegovina. Major environmental concerns are: pollution of coastal waters from sewage outlets, especially in tourist-related areas such as Kotor; air pollution around Belgrade and other industrial cities; water pollution from industrial wastes dumped into the Sava which flows into the Danube.